By default, the Claim, Promote and Unclaim buttons are not displayed on the Order Toolbar. 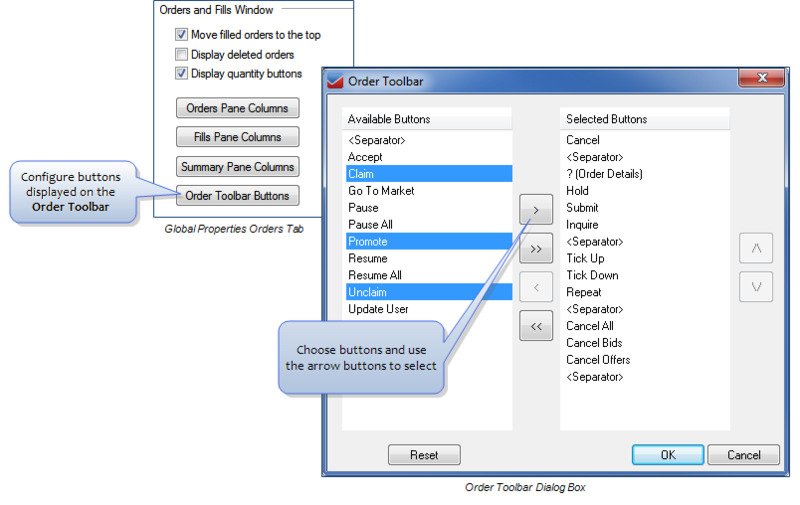 You may add these buttons by selecting Order Toolbar Buttons on the global properties Orders tab. Hotkeys are available to quickly Claim (Alt + C) and Unclaim (Alt + U) staged orders using the keyboard. The keystroke combinations can be customized on the global properties Hotkeys tab. The light blue (Default) background color can be customized on the global properties Color tab. You may assign a sound to the Staged Order alert on the global properties Sound tab to identify the arrival of available staged orders in the Orders and Fills Window. 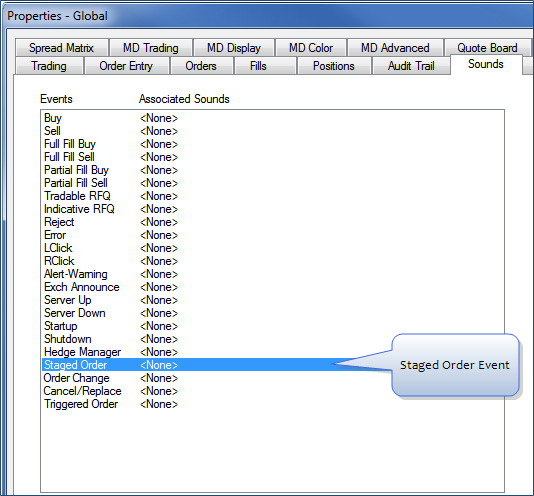 The sound will play when a staged order appears in the Orders and Fills Window with a status of Available. It will also play when an Owned staged order us unclaimed and does not have an owner.